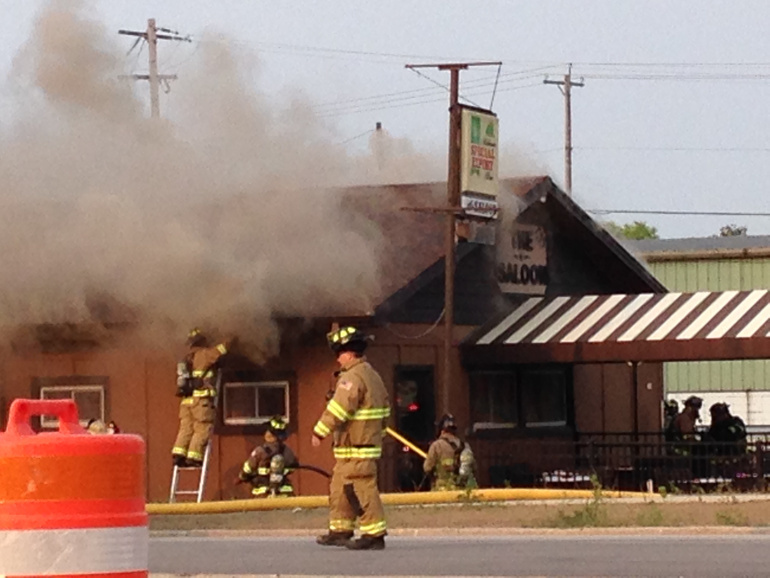 At approximate 6:38PM this evening (July 4), the SMFD ladder truck and I responded to a report of flames and smoke coming from The Saloon at 120 East Rawson Avenue in Oak Creek. Upon their arrival, OCFD units encountered a well-involved fire in the main bar area and attic of the structure. SMFD truck 1671 was assigned to set up for possible defensive operations from the Howell Avenue side and I was assigned the Operations Chief role, coordinating fireground operations alongside the OCFD Battalion Chief who was in Command. The building suffered extensive damage and the cause is still under investigation by OCFD and OCPD.